Chitwan National Park nestles in the mountains of the Himalayas in Terai zones of south-eastern Nepal and Himalayas. This wonder of Nepal holds some of the greatest dense forests and grassy plains with the incredible biodiversity. Thousands of visitors come here to see its natural views, flora, and fauna in the green forests and mesmerizing landscapes. Rapti and Narayani Rivers make the park one of the most visited places in Nepal and top holiday destinations in Nepal. It is a World Heritage Site and is a hub of adventure and safari lovers. Chitwan National Park is admired and visited as like Yellowstone National Park, Grand Canyon, Great Smokey Mountains National Park, Zion Canyon, Acadia National Park, Glacier Nation Park etc. Nepal points of interest has amazing vegetation which shelter the large number of mammals like Bengal Tiger, Elephant, Rhino, Sloth Bear, Leopard, Honey Badger, Stripped Hyena, Deer, Jackal, and Fox etc. which are decorating the jungle safari. There also 543 birds species are found here like Kingfisher, Flycatcher, Wild crows, Egret, Bittern, Peacock, Parrot, Sparrow, and Stork etc., are beautifying the natural music in the jungle and make it one of the famous beautiful places in Nepal. Chitwan National Park has 70% area of the park covered with tree and grasslands which are giving the natural shelter to the creatures. Rapti and Narayani Rivers are also providing homes to the crocodile, fishes and beautiful amphibians. 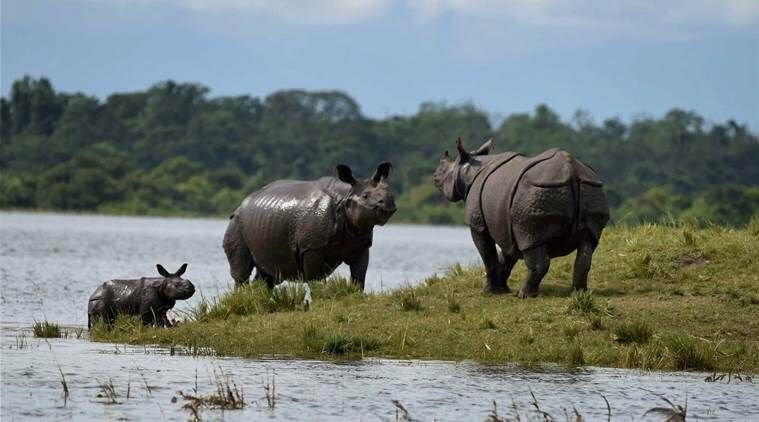 Chitwan National Park provides some of the greatest landscapes in the world which will enhances the beauty of this best tourist place of Nepal. The beautiful park has many season of weather throughout the year. October through March with average temperature offers the incredible climate experience. April to June is hot season which make the adventure humid-full and rainy season pours the river flooded from July to September. So best to time visit to this beautiful place of Nepal is from October to March. People come every year to this park for having a memorable experience of safari and adventure to look its amazing flora and fauna wildly. Chitwan provides a great experience who come here inside this park. Elephant safari and Jeep Safari of this park is also famous across the world and are available on affordable and cheep prices. The national park has many traditional villages which increase the honey taste in the trips in terms of making travelers feel the ancient culture and friendly nature. There are many ranges of Hotels available on affordable prices near Chitwan. Many resorts in this park which make this adventure more satisfactory. You can hail to this park directly and there are many tour guide and servers are available to give you the thundering wild experience. Apart from this, many wonders are hidden inside the park which cannot explain until you come here to explore. The best thing is that the park guarantees to repay you with some life taking memories through its beauty and amazing biodiversity when you come here. Best way to reach Bharatpur and then move to Chitwan region through local transportation.